PTC Windchill 10.2 provides increased visibility to participant status with the introduction of a new Status attribute and status icons. Information about the status of a participant is clearly visible from select tables and participant information pages. Tables containing participants, such as the Team table, can be sorted by the new Status column. Sorting by the column allows administrators to quickly identify users who do not have access to the product, library, project, or program. Deleted: Applies to all participants (users, groups, and organizations). Disconnected from directory service: Applies to all participants (users, groups, and organizations). Pending: Applies to users who have not logged on to Windchill. Replicated: Applies to users who have been imported using a replication package delivery. For more information, see the Windchill Participant Status topic in the PTC Windchill Help Center. 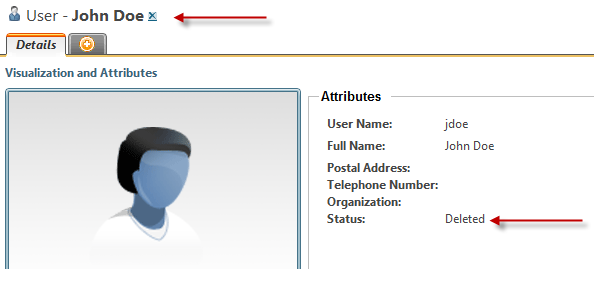 Tip: Enter the topic name in the PTC Windchill Help Center search field to easily navigate to the topic.